LOVE that statement, and very very true. Thanks for sharing! BAM! Great thoughts, Glenn–the last paragraph, especially. I’ve been concerned for some time with my observations of churches hiring musicianship over pastorship. As I tell my team, we can have a flawless music set and still fail miserably in leading our church family in worship. “What will Jesus ask us about: the music we produced, the services we programmed? Or the people we pastored, the sheep we fed?” Wonderful challenge…. Great thoughts indeed. I think that this view of music pastors is a result of how the church views worship in today’s culture. Worship is now viewed as simply something to entertain the crowd. Somewhere along the way it began to loose its purpose. So great musicians are then more critical than a person that spiritually leads and invests in their team’s souls. Glenn, this is an extremely stirring post for me. I think about how many times I’ve wished that I knew Pro Tools better or was better versed in music theory, or even had a hipper wardrobe, as if these were the elements of worship ministry. Glenn – excellent post. I have been a full-time Music “Pastor” for over 25 years and I am noticing that it is becoming rare to find someone who sees being a Worship Pastor as a life-long calling. To many it is just a stepping stone to something “bigger” or “greater”. I can think of no higher calling than this. There is no shortage of talented musical directors, but finding someone with a pastor’s heart is no easy task these days. Nice post! It kind of goes both ways too. So many people don’t take seriously their role in worship, don’t practice, don’t work at staying relevant, and don’t do a good job with the people they are leading under the disguise of “As long as we are all worshiping it doesn’t matter”. How lucky am I to have been with all of you guys that do both! Thanks for the comments and the “Amen’s”. I know there are so many faithful worship pastors who have given their lives to serving their churches…more than that: serving the people in their churches. It can be a thankless job…but may it never be a lost art. Erick…Good point about it working the other way too. And for the record, it is we who are the lucky ones! I miss you, my friend. I believe in today’s world the two most important aspects of a church are Worship and Children’s/Youth ministries. This obviously was not the case in the “early” church. I certainly do not want to down-play the role of the sermon or message that is given each week, but so many people make their decision based on their worship experience and if they have children then this, obviously, plays a huge role. We are so very blessed at New Life to have these two areas covered. Our worship is amazing. We were new to New Life Church when the scandal of Ted Haggard came to life. It would have been easy to move on and go somewhere else. In fact we even did attend a couple of churches in the area. When worship would start, they would lead a song that was written by Ross, Jared, John or Glenn. Denna and I would look at each other and we knew we had to stay at New Life. The worship, through Pastor Ross’ leadership was the only consistent thing at New Life. And over the past two years, there have been numerous changes at NLC, but through his leading we felt safe, secure. Worship was the anchor for us. It has been the one of the few consistent elements in an ever-changing environment. I wish all church-goers could experience our worship. It is not rushed, or hurried. It is genuine and sincere and truly helps me enter His presence. I guess in a way many people are touched by our worship – through the School of Worship, original songs and Worship Conferences; worship pastors all over the world have been touched by the leadership of you and Ross. Thank you! We are truly blessed, and I certainly do not take it for granted. Wow Glenn…not much to add to what’s already been said. Thanks for sharing these thoughts. 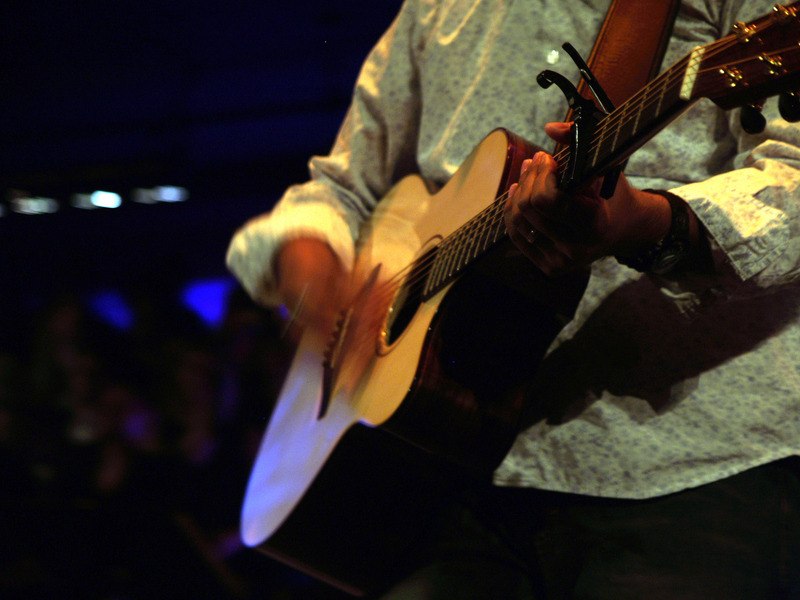 if music ministry is “about people”, when does it become about worship and blessing God? I think that churches ought to guard the title “Pastor” a lot more than they do. It implies a very significant 5-fold role expressed in Eph. 5. We use it too loosely to describe those who are simply involved in Christian ministry; when, in fact, the role of the pastor is as you said above: to pray & provide spiritual direction. t IS enough of a job description, because its a defined Biblical role – and to do it well takes a large amount of work! My only guard against “Worship Pastor” role is that it must not exist void of understanding the role of the Worshipper first and foremost. To me, this is the greater sin. Lots of people can do music, but a worshipper is one who truly touches the heart of God. To lead out in bringing acceptable worship to God is what “Worship Pastors/Leaders” can do that is outstanding from other pastoral roles in the Church setting. Ironically, understanding the heart of God through worship is part of what compels us to love and care for one another! Its truly amazing how He works in and through us! Thanks, Glenn, for your once-again thought provoking words! You have a true gift of a Pastor! whoops! its Eph 4 that talks about the 5-fold!! Got stuck on the “5” thing! Powerful post. Thank you for articulating these thoughts. Somewhere down the road, I want to tease out just what happened between the OT and the present such that “music leader” and “pastor” have become separated roles. I’ve got some theories…medieval Catholicism, the birth of modern Western music, and Charles Finney’s influence on American evangelicalism. In the mean time, thank you for getting to the heart of the matter and reminding me of an important reality! how about a blog on under paid worship pastors. He fact that the church for years has disrespected that position. Pastors who want amazing worship and worship experiences and amazing music, yet are not willing to pay for it. Pastors also not understanding the role of a worship pastor and when it is a MUST BE full time position. As a worship pastor for about 3 years I thank God that my senior pastor talks in language that encourages me beyond music only like you do, Gleen. He has taught me so much about many things relating to the Church including encouragement in music and voice. Many times, WPastors extend into other roles within the Church including Associate and executive pastor positions (depending on church size, etc.) which is something that has been happening with my job duties. Thank God for good senior pastors.